These herbs are used for increasing the vitality of liver, spleen and kidney. It is a pure herbal product. 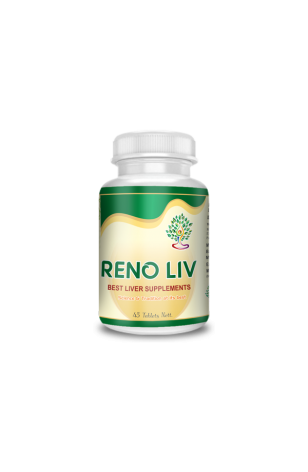 Reno Liv consist of immuno modulatory herbs (in ayurvedic terminology: rasayanas rejuvenating). They maintain the balance between all the doshas (humors) and also clarify all the srotas (body channels) through which nutrients are supplied. Due to proper functioning of srotas (body channels), doshas (humors) remain in their proper amount that is the samavastha (balanced condition). These herbs are used for increasing the vitality of liver, spleen and kidney. It is also used to increase the urine output and for heart failure cases.